Guess. No, go on, Guess. I was getting some stuff out of my wardrobe this week, and I came across something I had long forgotten about – a suit in a Tennant style. There’s a little story behind how I acquired it and where it came from. 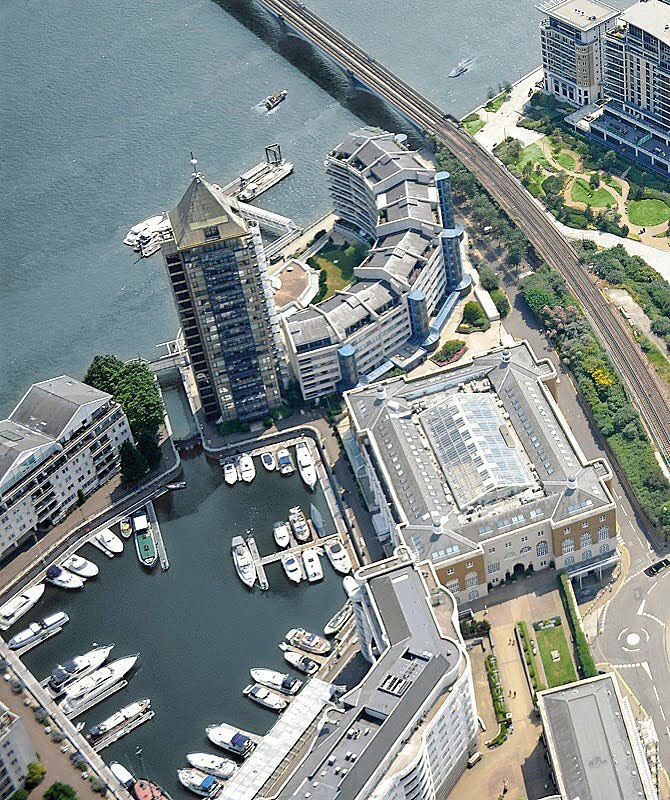 Until June of 2009 I was working at an advertising agency based in Chelsea Harbour in London (see right). It was a nice little job, working with a bunch of really nice people who made the day fun, and I was an Advertising and Pre-Press Manager, for which I created a niche for myself. It all came to an end due to the credit-crunch when the agency’s clients shifted a lot of their advertising from print (my speciality) to online (scary stuff) and I found my role dwindling until the inevitable happened . .. . never mind – let’s face it, I wouldn’t be doing what I’m doing now to the extent I am if I was still in full-time employment. So don’t shed any tears: I’m in many respects happier now than I was at the nice advertising agency.